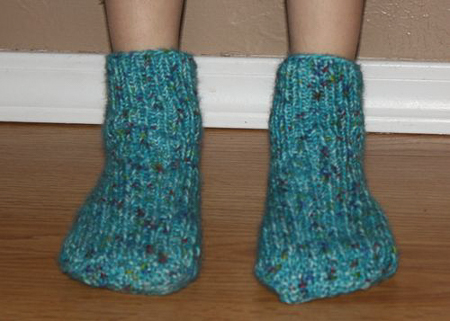 I knitted these socks using a really great pattern(Magic Loop Socks) from Staci Perry at Very Pink. This is my go to place to find knit patterns. Most of her patterns (maybe all of them) come with videos to walk you through her patterns. I have emailed her several times when I have had issues and she has always responded back with very helpful advice to help me finish my projects. She also has many technique videos on youtube. You can find her patterns and tutorials HERE. You can find her knitting technique videos HERE.